There are other grains planted in Ifuago aside from rice. Did you know they plant corn, too? Aside from its rice terraces, which are a UNESCO World Heritage Site, the mountains and hills of Ifugao offer another scenic view during the months of March and September, when corn is ready for harvest in the rolling terrains of Alfonso Lista and Aguinaldo. Corn farming is one of the major economic activities in this eastern part of Ifugao. In 2013, the province recorded a total corn production of 106,449 metric tons or MT. 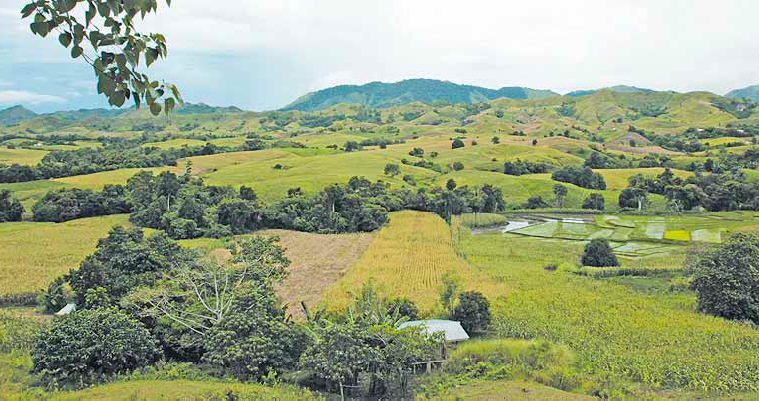 “We plant corn here in lower Aguinaldo while those in the highlands have their rice terraces. Some also plant cassava and legumes. 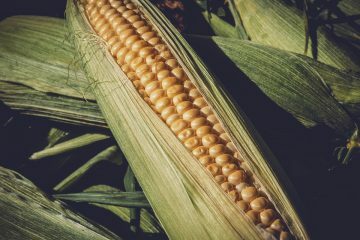 But corn has the largest production,” says Alma Maguiwe, the manager of the Aguinaldo Marketing and Development Cooperative (AMDC). 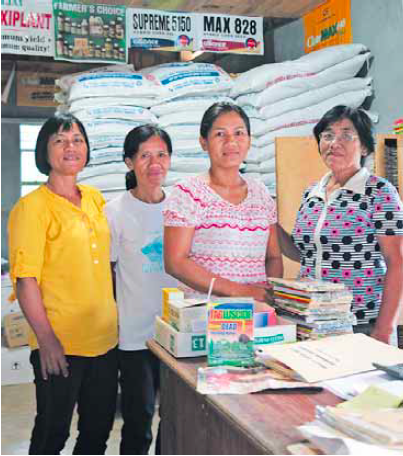 The AMDC is the only cooperative in Aguinaldo providing agricultural services to locals. Organized by a foreign donor in 1999, the Cooperative was created to gave farmers access to low-cost agricultural inputs and to save them from unscrupulous lenders who charged interest rates of 30-35% and who bought the crop yields at low prices, shares the 53-year-old manager. As the AMDC’s numbers grew, from 30 to more than 600, the services offered by the organization grew to include credit and savings services, rice milling, and corn drying. the cost of a machine (usually 85%) and the organization answers for the remaining percentage. She explains that they received help from a member of the agriculture office to become part of the scheme, and that they are happy with the results because the quality of their members’ products was greatly improved. Aguinaldo farmers practice the late harvesting system because it’s difficult to dry the corn. In the late harvesting system, an initial reduction of the kernel’s moisture content takes place. sprouted due to delayed drying; as a result, no one would buy it and she had to have it ground for food use. assets, and in 2013, their net income from the dryer alone was Php300,000. The overwhelming response of the farmers to the drying facility prompted the AMDC to train additional operators. The village-type dryer is not the only mechanical dryer in their community; there is another one at Alfonso Lista, but the output is inferior to that of the AMDC’s dryer, as the former uses diesel fuel. The AMDC dryer has a PHilMech multi-fuel biomass furnace, designed to use rice hull, corncobs, wood chips, or saw dust as fuel. 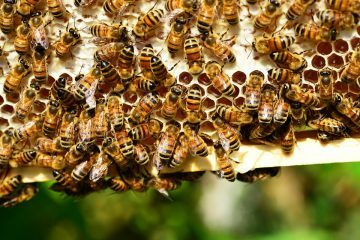 It can dry grains from 30 percent moisture content down to 14 percent in six to eight hours. It has a temperature controller and an automatic feeder, and thus requires less operator attention. Aside from the low drying cost, the PHilMech multi-fuel biomass furnace is environment-friendly as it meets the limits on carbon monoxide, nitrogen oxide, gas, and particulate emission set by the Environmental Management Bureau (EMB) of the Department of Environment and Natural Resources (DENR). Manager Alma Maguiwe (left) with the officers of AMDC. Farmers sell their produce to traders in Alfonso Lista, Maguiwe says. Because traders dictate the price for their commodities, the dryer has helped AMDC members get fair prices for their produce. 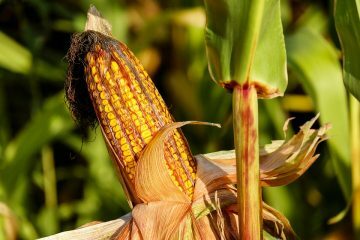 The group plans to buy fresh corn kernels to add to its members’ incomes. They hope to acquire another grain mechanical dryer with a biomass furnace. her co-members to participate in training sessions and seminars and to share what they learn with others. At present, she trains younger co-op members and prepares them to continue their successful roles in the rising corn industry of Ifugao.